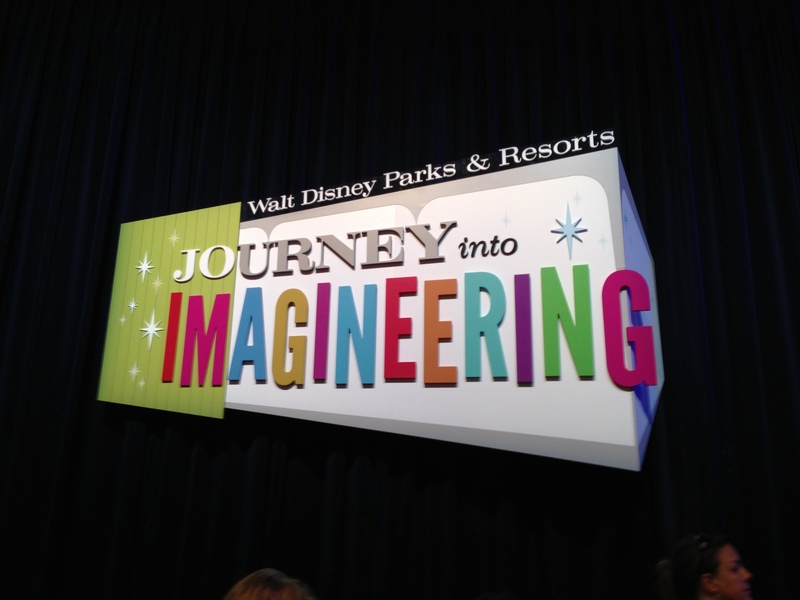 Overall, D23 Expo 2013 was wonderful! Fans were excited, lots of news was shared, great stuff was given away, but that’s not to say there isn’t room for improvement. Taking inspiration from one of my favorite Dr. Seuss books (If I Ran the Circus…) here is what I would have liked to have seen. The nicest of the bronze copper penny pins released at the Expo – keeping this one! More pins and pin trading by Disney. Although there was a (very) small section reserved for people who wanted to trade pins and/or Vinylmation, Disney didn’t have any pin boards set up which was part of the fun of the last Expo. 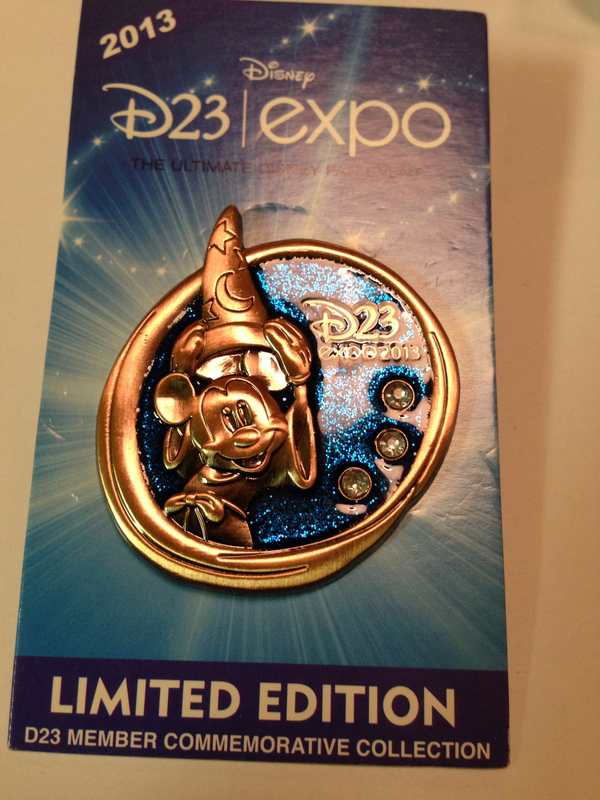 The pins they released this year were not as varied or beautiful as last Expo’s pins and they really focused on this bronze/copper penny look which didn’t seem to be as popular. Unlike last time where pins were flying of the shelves, there really wasn’t a danger of running out of them this year. No special collector’s sets that you had to have and no focus on any parks or attractions were featured either. I don’t know if they eventually sold out, but I hope Disney doesn’t take the lackluster purchasing as a sign that pin trading is in decline but instead that the variety and quality wasn’t there. Star Wars and Marvel Pavilions: Surprisingly there wasn’t a Lucasfilm or Marvel Comics presence at this year’s Expo, which was a shame. It’s not like Disney to pass up on a great marketing opportunity, and as was evidenced by the empty spaces at the back of the convention center, there was room to add a couple more, especially for Disney’s newest business acquisitions. There was a Marvel presence outside with Disney XD featuring their newest lineup of animated series, but it would have been great to see more about the comic book side of the Marvel business or even a booth promoting their upcoming movies beyond what they shared at the Arena. 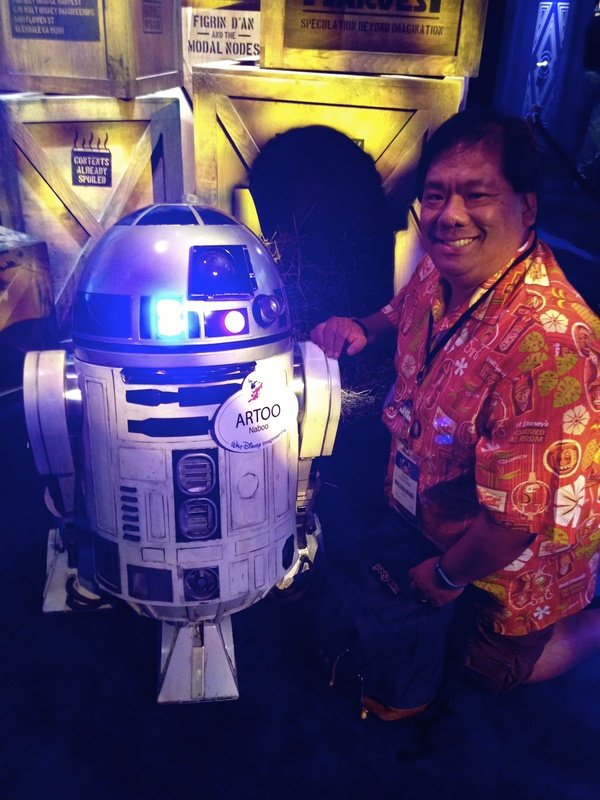 And as for Star Wars, except for a few hints in the Imagineering pavilion there wasn’t much to speak about…although I did get a great photo op with Artoo! More from Imagineering: Last Expo there were lots of previews for upcoming attractions (Seven Dwarves Mine Train Ride, New Fantasyland), new things to note about the Disney Cruise Line (Disney Fantasy and Disney Dream), and a whole new land for Disney California Adventure (Cars Land). This year? Pretty much nothing. Don’t get me wrong, the Imagineering pavilion was interesting, the opening film was imaginative, and it was great to get to talk to the Imagineers about the work that they do, but it was more a look at the past than a preview of the future. The layout of the pavilion was also not well planned. Each section of the pavilion was too small for good traffic flow and it would get quite busy. That’s not to say that it wasn’t interesting, but just that compared to last Expo there was a lot less to look forward to. Especially with Shanghai Disneyland set to open, it would have been great to hear some news. Maybe they’re saving it for 2015. Long Lines at Some of the Pavilions: While line management overall was vastly improved, a few lines were far worse. Disney Interactive gave out figurines from the new Disney Infinity game for free, but the way they handed them out made for extremely long lines. You had to give up seeing and experiencing other things just to get one – lines were up to an hour and a half! Which is about how long it was to experience the Jolly Roger in the ABC pavilion. Again, just to see what was inside took anywhere from 45 to 90 minutes. Lines for the Disney Store took up to three hours! So while line management for the events and for the Dream Store were much better, lines for a few of the major pavilions were far worse and meant people had to be disappointed one way or another. 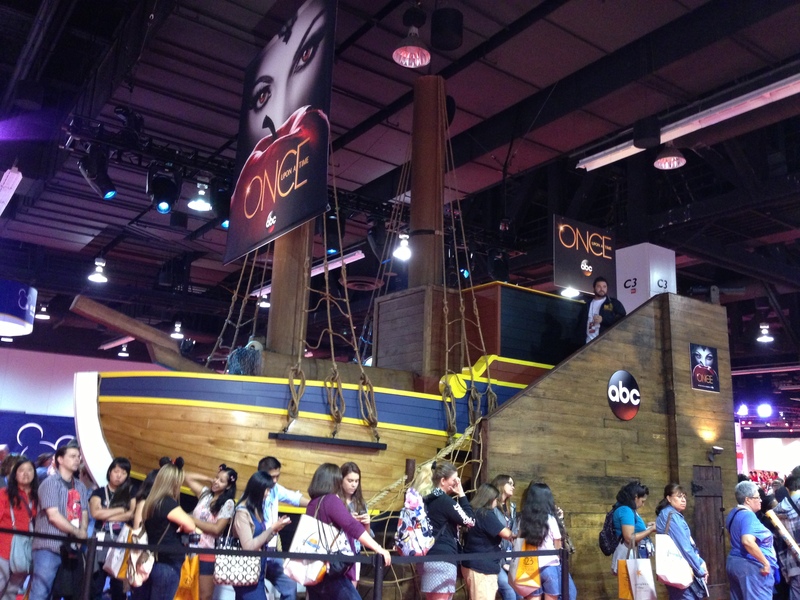 Previous Previous post: D23 Expo 2013: Best Things at the Expo!